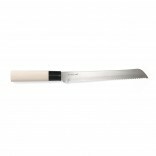 Chroma Nakiri Vegetable Knife Type 301 P36 is a Tokyo Style is 17 cm cleaver ideal for chopping small and large vegetables. 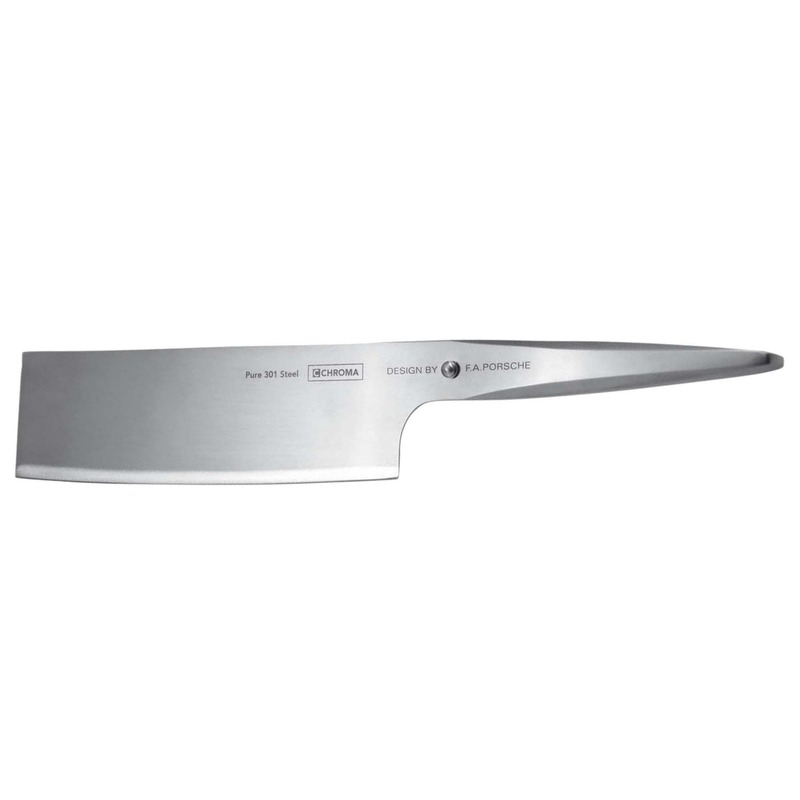 The rectangular blade is great for cutting thin slices, chopping fast, and executing precision cuts on vegetables. 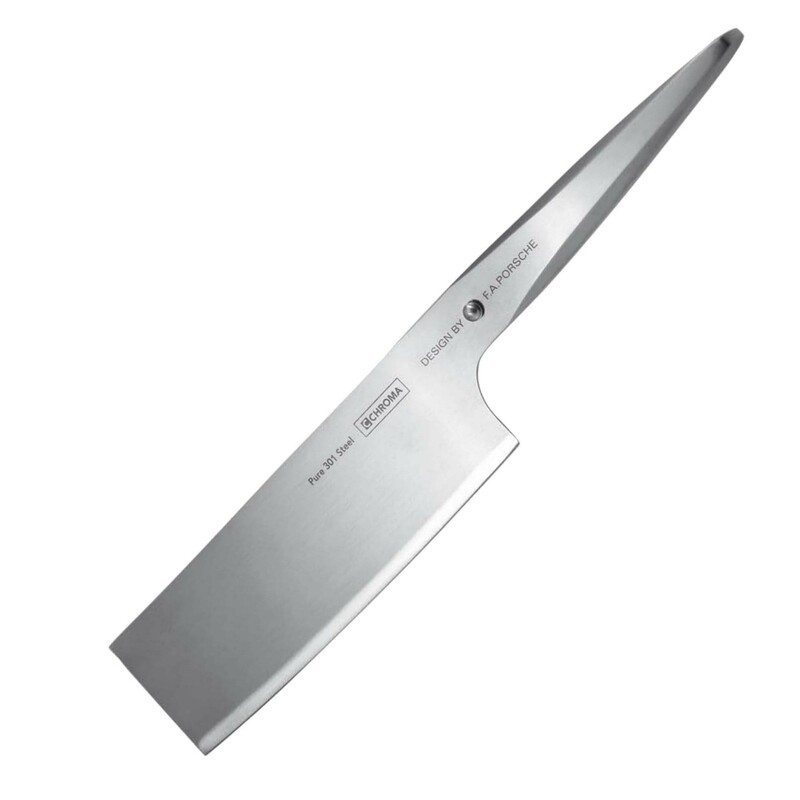 A Nakiri is a professional vegetable knife. The flat rectangular blade is meant for push/pull chopping of vegetables. Since the entire flat edge of the knife strikes the cutting board at once the chance of accordion vegetables is greatly reduced (Accordion vegetables are still connected like paper dolls after one finishes cutting them). A Nakiri knife chops vegetables very fast and very reliably. To truly understand the benefit of a Nakiri knife just make onion soup when you first bring this knife home. It will all be clear after the onions are chopped. Chroma is a manufacturer that bridges the gap between Japanese tradition and the European design with the type 301 series. 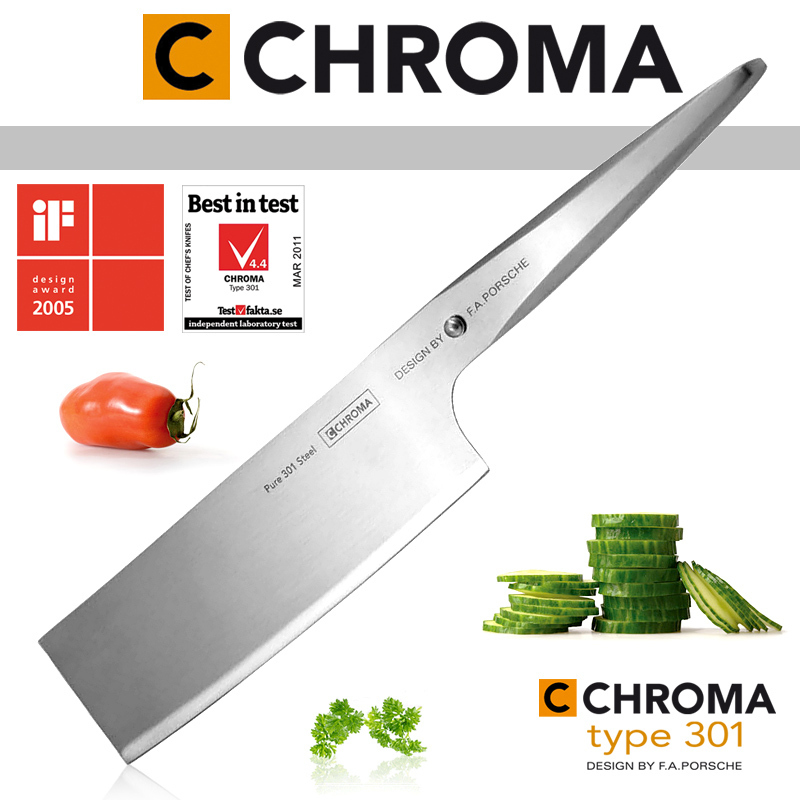 Chroma type 301 cutlery are designed by F.A. 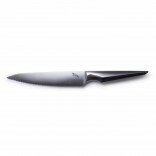 Porsche, who worked closely with chef of the decade, Jörg Wörther, in order to develop the final shape of the handle, which is optimized for maximum usability. The Chroma type 301 knives follow faithfully the Japanese philosophy, which dictates a knife to be lightweight and flexible so that it feels like an extension of the user’s hand. 17 cm / 6,7" long blade. 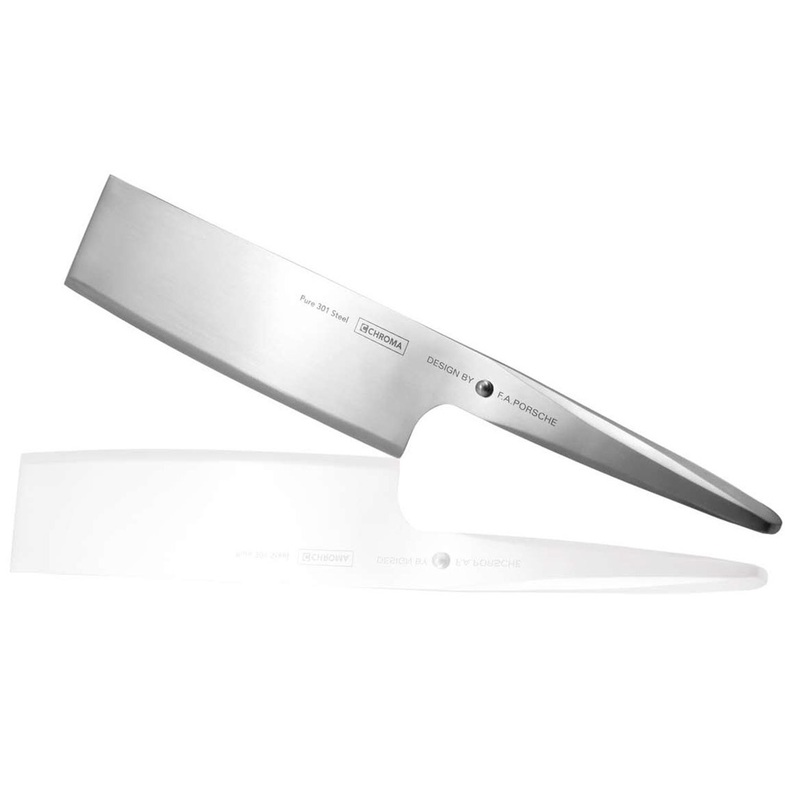 Easy sharpening: For the novice user there are available metal “guides” which place the knife on the correct angle against the whetstone. Comes in black luxury case.